Team Duct Tape enjoyed a full and busy weekend at Tempest in Tampa, held at the USF Sun Dome Oct. 24 & 25th. 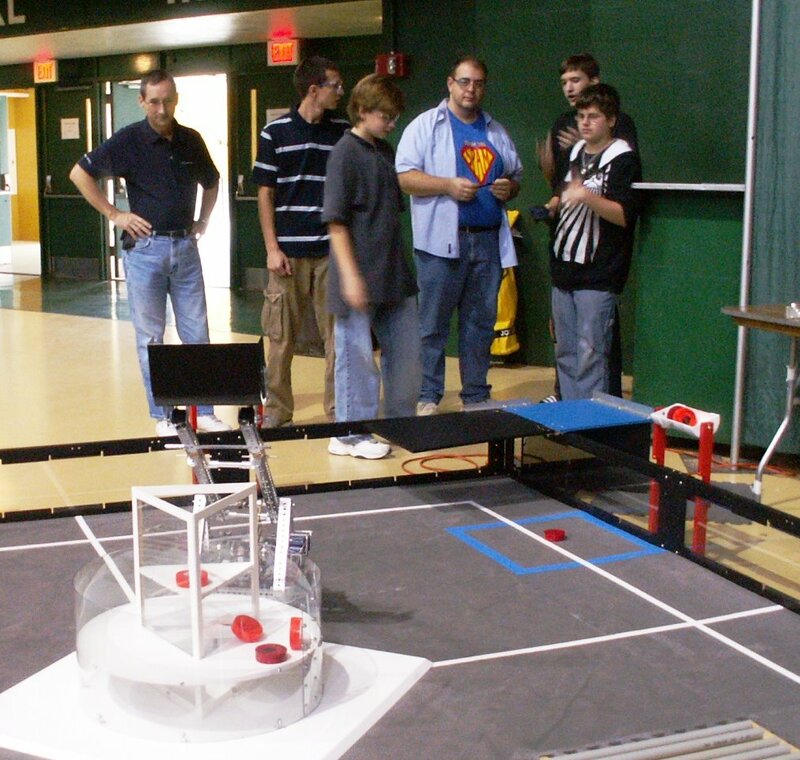 The FRC event also functioned as a showcase for FIRST LEGO League, FTC and VEX robots, the system used prior to this year’s new TETRIX system in FTC. Tampa Tribune reporter Courtney Pastor met Team Duct Tape members at the event on Friday night, to learn more about our community based team for an upcoming story. Team members enjoyed telling her about the Face Off! game, showing her our robot and answering questions about their interest in FIRST. After that, team members joined other Tempest in Tampa students on a tour of the University of South Florida’s Engineering Lab. They enjoyed learning about Chemical, Industrial and Mechanical engineering fields and resources, and saw a variety of high tech tools on display. On Saturday, Team Duct Tape was able to try out our robot on an actual playing field. Members alternately spent the day attending workshops on game strategy and programming, watching FRC competitions, and providing community outreach on behalf of FL FTC at the practice field. 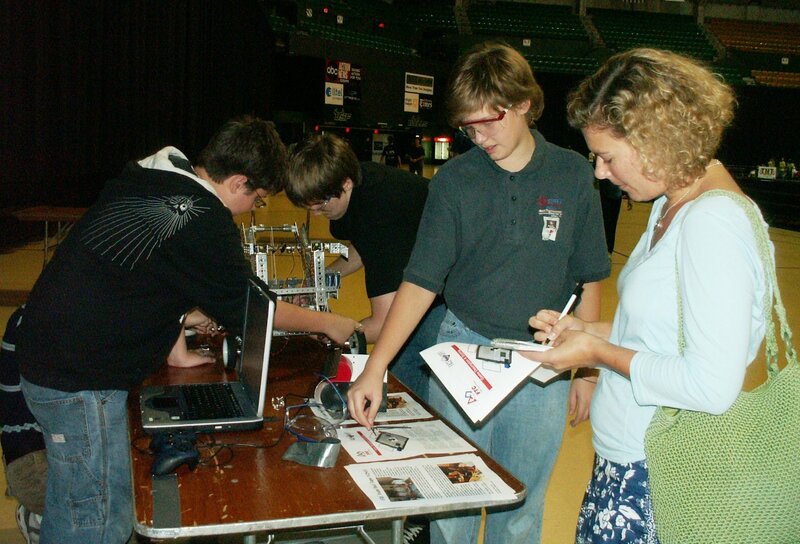 A lot of people came by with questions and enjoyed seeing the robot on the field, and learning more about FTC. Mentor Paul Marnuk, of Tampa Technik , came by for a visit, too, and enjoyed seeing a stadium full of students excited about science and technology. And everyone — team members, mentors and coach — were delighted to see that all the hard work that’s gone into designing and programming their robot seems to have positive results so far. There’s a lot of work still to be done, but Team Duct Tape is up for the challenge, and looking forward to applying the new knowledge they gained at Tempest in Tampa this weekend.